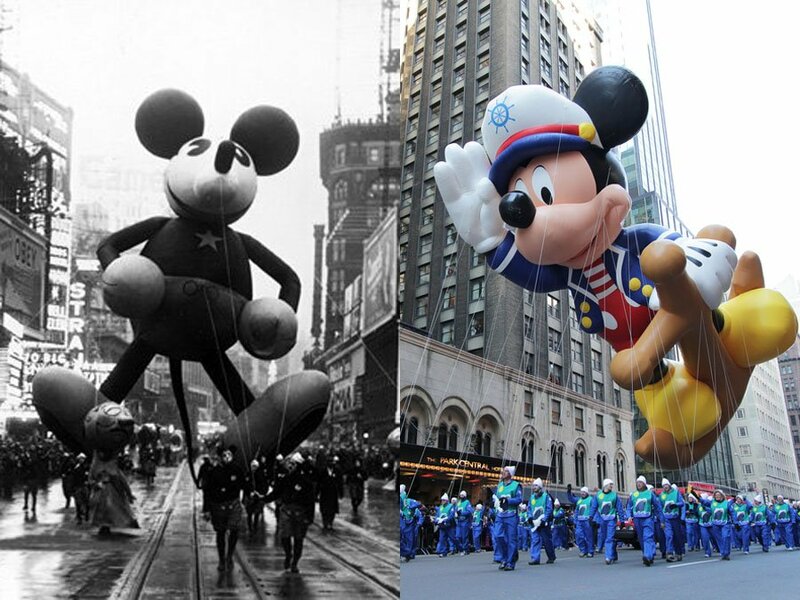 The annual Macy’s Thanksgiving Day Parade is held every Thanksgiving Day in New York City. Originally called the Macy’s Christmas Parade, it was first held in 1924 and has been canceled only thrice (1942, 1943, 1944) due to rubber shortages during World War II. The two and a half mile parade features large balloons of well-known characters alongside floats and marching bands, ending with a float of Santa Claus upon his sleigh, marking the start of the Christmas season. Interestingly, all performers in the parade, including those appearing through Sesame Workshop and others, must become “employees” of Macy’s. Celebrating its 87th anniversary, the 2013 Macy’s Thanksgiving Day Parade is the official kick-off of the holiday season. Every year, the Parade is seen by more than 3 million people who line the streets of New York and another 50 million people who tune into NBC to watch the giant balloons, one-of-a-kind floats, the nation’s best marching bands, hundreds of cheering clowns and a host of celebrities. On Thursday, November 28, 2013 at 9 a.m., the dazzling spectacle begins. Stepping off with its signature giant helium character balloons, fantasy-filled floats, marching bands, performance groups and a gaggle of clowns, America’s Parade is a non-stop pomp and pageantry for spectators young and old. Stepping off from 77th Street and Central Park West, the Macy’s Parade will march down to Columbus Circle, where it will turn onto Central Park South, before making its way straight down midtown Manhattan on 6th Avenue from 59th to 34th Streets. The Parade concludes with its final turn onto 34th Street in front of Macy’s Herald Square. The Macy’s Parade route offers over two miles of public viewing.